The College of Education’s STEM Center is initiating a Minority STEM Education Scholar series. The center is hosting a monthly campus visit from scholars whose ethnicity and/or gender have historically been marginalized within STEM and whose research focuses on K-12 STEM education. The visits will include a research presentation as well as opportunities for faculty, staff, and students to meet one-on-one with the visiting scholar. The goal of this colloquium series is to enhance awareness of black and Latino scholars and others from historically underrepresented backgrounds and their work in STEM education on and beyond the University of Texas at Austin campus, and to promote scholarly interest and collaborations. 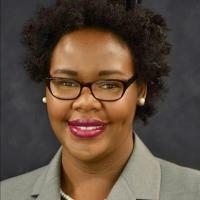 Join us for the first visiting scholar, ReAnna Roby, Ph.D. from Michigan State University, presenting, The Afterlife of Black Girls and Women in STEM: Narrative Reimaginings of STEM and Making. While Henrietta Lacks died a physical death in 1951, the ways in which she is made part of the science cannon and curriculum —as well as other Black women—is still living and becoming. As an enterprise, STEM access and participation have been limited to minoritized people, due to socio-historical factors and the continued issues of power and authority related to the masculine Eurocentric culture of the field. This, in turn, can be reflected in STEM as a practice (e.g. Medicine, Research, etc.) as well as in science learning (formally and informally). This study explores the ways in which the historical narrative of Henrietta Lacks, the living narratives of Black women science PhDs and the futuristic narratives of Black girls in a community-based STEM-rich maker space disrupt what we know as STEM while prompting reimaginings of STEM curriculum and “Making”.